For the Jubilee Year, Bishop Fellay decided to take the SSPX to venerate the Apostles in Rome and thus to show our attachment to the center of Catholicity, to the papacy, as well as our refusal to let ourselves be locked in the schismatic category. Thus over 5,000 people—a record for the Holy Year—came in the midst of August in Rome to make the pilgrimage to the major basilicas. A newspaper printed the headline: “5,000 excommunicated people in St. Peter’s Basilica!” underlying by this mild irony a striking character of the present crisis: those who try to keep the Faith and fight against the enemies of Catholicism are banished from the Church. The appointment of Cardinal Castrillon-Hoyos, Prefect of the Congregation for the Clergy at the head of the Ecclesia Dei Commission,  marked the establishment of closer “contacts.” A solution was suggested, however without any concrete formula being proposed. But once again, the limited comprehension of today’s members of the hierarchy as far as “Tradition” is concerned, showed clear limitations. Unfortunately, eyes have not yet opened to the depth and the origin of the formidable crisis that has been shaking the Church for 40 years already. Like Archbishop Lefebvre, we must repeat that the time seems not yet to have come for a full collaboration. 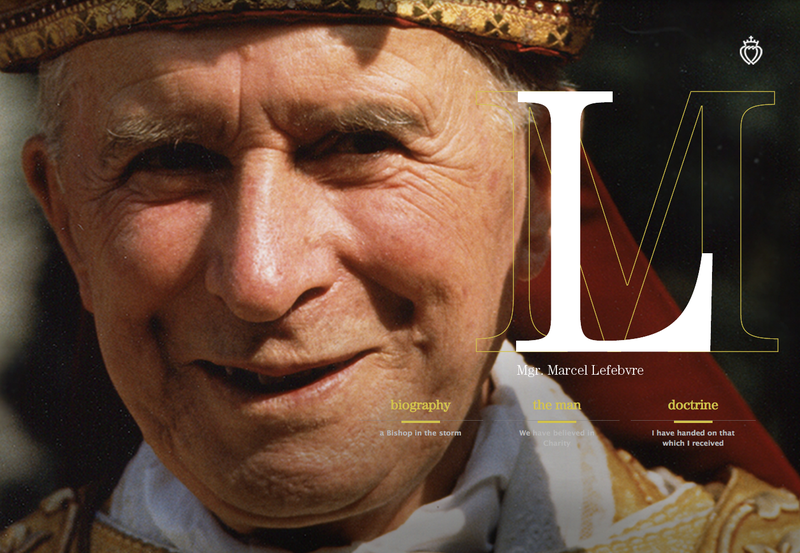 From the very beginning of his combat for the Faith, Archbishop Lefebvre justified and explained in conferences, articles and books the reasons for his stand. He never ceased as time went on to denounce evil and to propose remedies to heal the open wound caused by the recent council. Many authors, ecclesiastics as well as laymen, also placed their intelligence and their pen at the service of the defense of the Faith as soon as the first signs of the present disaster appeared. It would be too long to name them all. In order to carry on this necessary activity, the SSPX created press agencies, organized symposiums and congresses, it has given its support to reviews, to say nothing of all the publications aimed at the catechetical and doctrinal formation of the faithful. For some years now works and publications have been delving deeper into the analysis of the causes and consequences of the spirit and letter of the council. The SSPX has especially produced a very strong work on the liturgical reform, and more specifically on the Novus Ordo Missae, which takes up again the criticisms leveled at this neo-Protestant rite. Addressed to the Holy Father and several cardinals as well as many bishops, to this day it has not been seriously refuted. In mid-January 2004, Bishop Fellay and his two Assistants (Fr Schmidberger and Bishop de Galarreta), with whom were associated the other two bishops (Bishop Tissier de Mallerais, and Bishop Williamson) sent to all the cardinals a letter on the ecumenical disaster, accompanied by a document entitled: “From Ecumenism to Silent Apostasy—25 Years of Pontificate.” Originally, this document was destined to be given to the pope on the occasion of his jubilee. But the state of his health caused the Superior General instead to address it to all the cardinals. Bishop Fellay presented the document in a press conference in Rome on February 2, 2004, attended by some 40 Vatican-watchers, who listened to him with attention. Once again, this rigorous demonstration did not receive any noteworthy answer nor has it been refuted. And yet the subject is all-important; if according to the very words of the Sovereign Pontiff a “silent apostasy” can be diagnosed, especially in Europe, it must have a cause. Certainly, there is not only one cause, but it is not difficult to understand that ecumenism as it is conceived and practiced to day unavoidably engenders an indifferentism that leads precisely to this apostasy.